In October Red Hook Studios announced their Indie dungeon crawler, Darkest Dungeon, would be coming to the Nintendo Switch. Rumors suggest that it will arrive sometime this month. Recent news has also revealed that the Crimson Edition of the game, which contains the base game and The Crimson Court DLC, will also be getting a retail release. 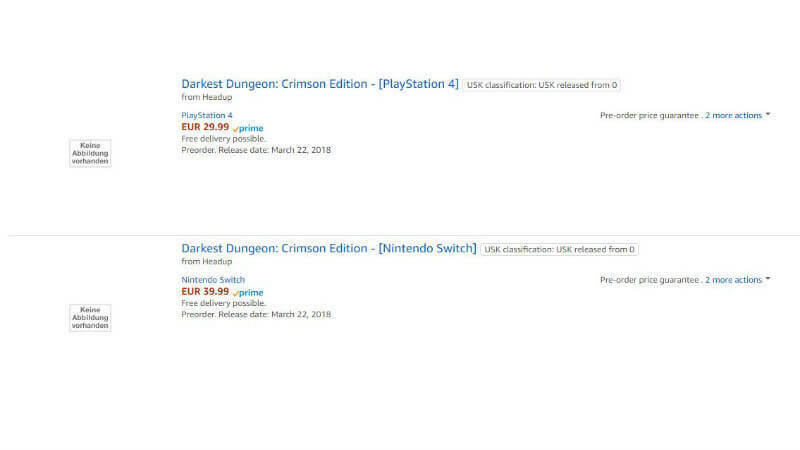 Wario64, a Twitter user known for tweeting about the best video game deals, tweeted earlier today that the German branch of Amazon currently lists that Darkest Dungeon: Crimson Edition is available for pre-order. 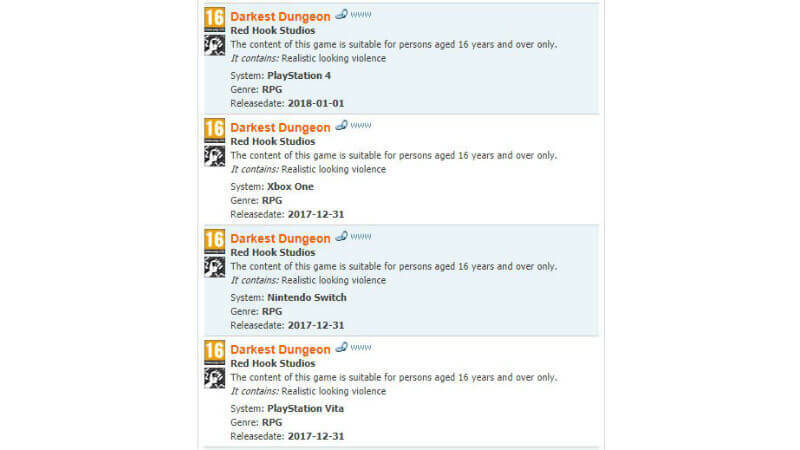 If the posting is authentic the gothic roguelike turn-based RPG would be coming to the PlayStation 4 for £29.99 ($36.06) and Nintendo Switch £39.99 ($48.03) on March 22, 2018. The original version of the game may also be coming to Xbox One soon as well. The official PEGI (Pan European Game Information) site has posted the Xbox One rating for the game at 16, the same rating every other version of the game has received. Just like the Switch version of the game, there is no confirmed release date for the Microsoft version of the game. 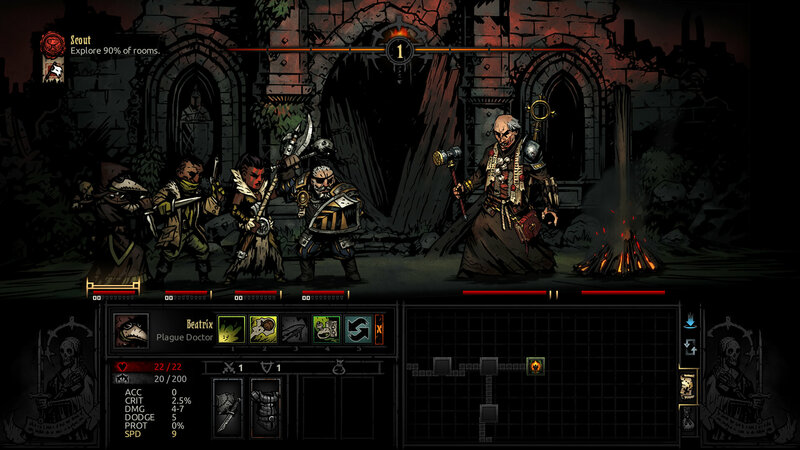 Darkest Dungeon was released for PC on January 19, 2016, with a release for PlayStation 4 and PlayStation Vita a few months later. 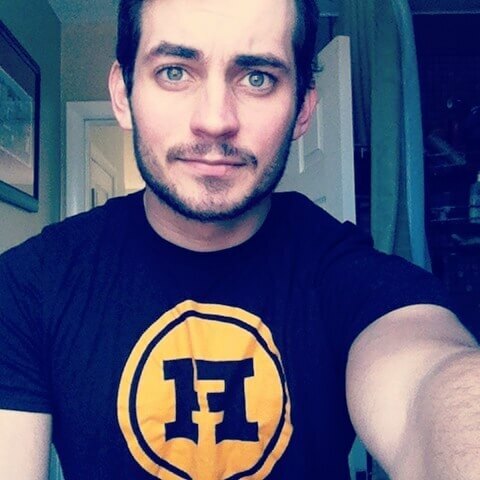 The roguelike received rave reviews, even while still in Early Access back in 2015. The Nerd Stash’s own Ryan Griffith said it was “one of the best RPG’s I’ve played to date,” praising its music and atmosphere, stating it felt like playing a game of Dungeons & Dragons. Since then it has also received two DLC expansions. The first (The Crimson Court) received more positive reviews, while the second (The Color of Madness) is expected for release in Q2 2018. For more information, be sure to check back to the site for the latest entertainment news updates, sales, and all of your Nerdy News and Needs!